A good soft bedding is critical for maintaining the comfort, natural environment and healthy habitat conditions of your reptile's terrarium. 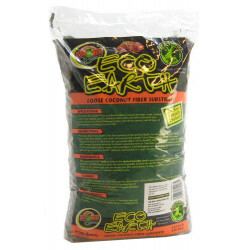 It is crucial to provide your lizard, snake, frog or other reptilian pet with a bedding that facilitates all of its natural behaviors, including burrowing and nesting. 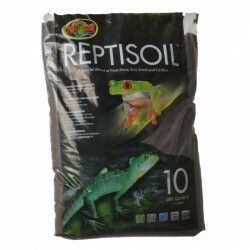 Humidity is also an important factor for many species of tropical reptiles, and a good soil reptile bedding will vastly help to retain moisture and increase humidity in the tank. 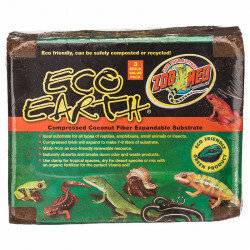 Our reptile beddings are made from eco friendly, renewable materials that promote natural behaviors in all forms of reptiles. Each pre-packaged brick of soil substrate expands to several times it original volume to adequately fill your pet's habitat with soft, loose bedding that has plenty of depth. 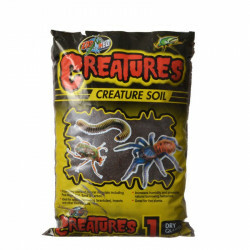 These natural substrates also help absorb odors and naturally break down waste products, maintaining the cleanliness of the terrarium and the health of your pets.